Information in this executive summary was correct on 19.12.16. This chapter identifies six main groups of residents (across the full age range from children and young people to older people) at risk of not accessing high quality and relevant arts and culture activities in Surrey that could enhance their health and wellbeing. It also provides links to in-depth international research linking arts and culture activities to health and wellbeing. make recommendations for services and commissioning. The Heritage Counts survey (Historic England 2016) concluded that “Heritage plays an important part in our wellbeing and quality of life”. At a personal level, 93% of residents say that local heritage has an impact on their quality of life, and that Heritage activity (such as visiting, volunteering and heritage membership) is a driving factor for wellbeing (Heritage Lottery Fund report 2015 “20 years in 12 places”). 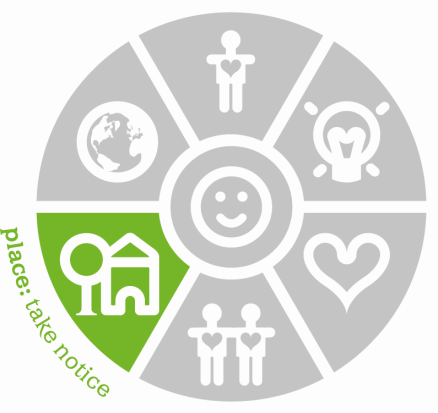 Surrey County Council (SCC) places emphasis on health and wellbeing in its Corporate Strategy (renewed in 2016). It also continues to promote, support and utilise its Cultural Services – which includes Surrey Heritage, Surrey Adult Learning, Surrey Libraries and Surrey Arts – with all residents. SCC Cultural Services constantly seek to work in partnership with other local, regional and national organisations to develop the success and efficiency of a relevant offer to residents. An example of partnership working in this way is Surrey Music Hub which has adopted an inclusive approach to ensuring all young people receive access to music education. Inclusion and equity of opportunity is the focus of arts and culture provision in Surrey, ensuring that the offer supports the health and wellbeing of all residents. 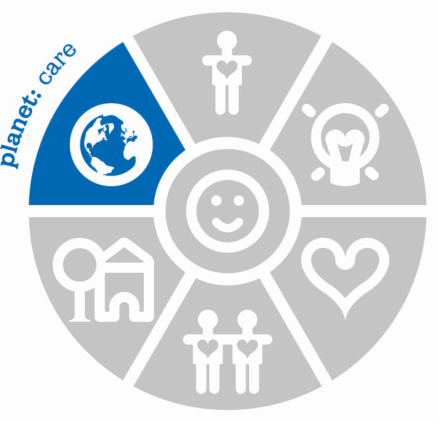 Therefore, instead of assigning cause and effect of single art forms/cultural engagements upon individual health and wellbeing issues, this chapter seeks to demonstrate the impact of arts and culture on health and wellbeing as a holistic approach, based on the Six Core Principles for meeting health and wellbeing needs as proposed by Public Health England in 2015. The chapter draws upon international research, local case studies and approaches in Surrey, and identifies where further work is required to continue to improve services. 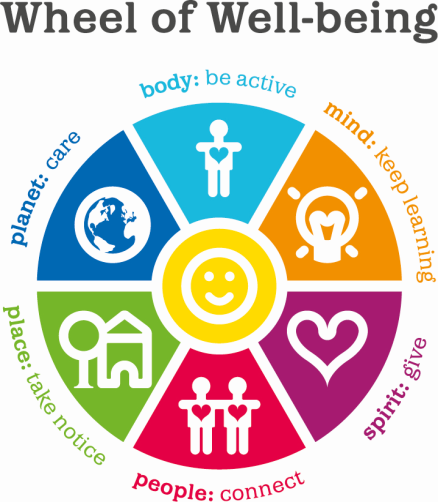 Additionally, contributors felt it vital to signpost readers to arts and culture activities in Surrey using an interactive version of the 2013 South London & Maudsley NHS Foundation Trust Wheel of Wellbeing which can be found in the What Works section of this chapter. 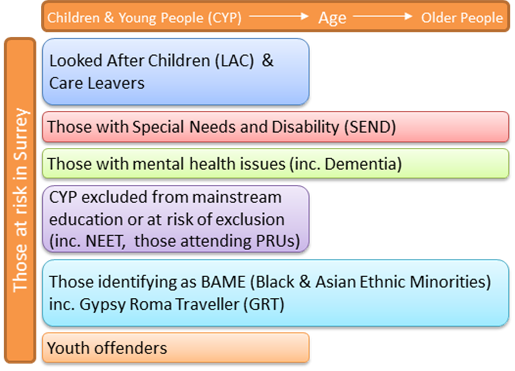 Drawing on the assertion made by Public Health England (2015) that health needs change dependent on age, this section draws on demographics, research and current practice about the two broadest identified groups of Children and Young People and Older People shown on Table 1, to demonstrate the reasons for their identification of being ‘at risk’ in Surrey. Later sections will demonstrate where and how arts and culture can (and do) play a part in supporting these ‘at risk’ groups. According to the 2015 Public Health England report, the UK’s 9.9 million young people have poorer health outcomes than those in many other developed nations. We know from Bowcock’s 2012 Hidden Surrey report that whilst Surrey is an affluent county there are a number of pockets of deprivation that are ‘hidden’ due to their proximity with areas of prosperity and high living standards. In some cases, these pockets are amongst the most deprived areas in the country. ‘The exclusion from school of those with special needs are twice the national average’ and the South East ‘has the highest rates of sickness absence in the country, with mental and stress related illnesses the greatest factors.’ The report summarises that because of the huge social economic spectrum in Surrey ‘there are very stark contrasts in the circumstances and in the prospects for young people who are growing up here’. Matthew et al. (2016) report that whilst nationally providing appropriate activities for young children is the reason a large number of parents engage in arts and culture activities, heritage engagement is the activity most affected by socio-economic status. It states that those in deprived families were less likely to visit heritage sites and those in wealthy homes were more likely. The correlation was not as stark for other art and culture activities. Increased self-esteem and sense of self-efficacy. The population in Surrey is rising across all age groups, with a predicted rise of older people (aged 65+ years) from 18.5% to 25% of the total population from 2015 to 2039, constituting the largest rise in population in the county. According to the 2011 census this steadily rose by 13% between 2001 and 2011, with the number of over 85s increasing by 25.7%. In 2011 31% of those lived in households alone, compared to only 4.4% living in a communal establishment. There is an increasing raft of work being undertaken nationally to develop the use of arts and culture activities for older people. For example, Arts for Health Cornwall report that ‘older people that have taken part in our previous dance projects have reported making new friends, feeling happier and looking forward to each session’. It is the creative approach taken on by those who lead the seated dance provision in Surrey (currently funded by Active Surrey and Woking Borough Council) that best supports the wellbeing of the older people and those suffering from dementia taking part. In addition to general fitness, the participants have the opportunity to bond and share stories, movements and songs. Using this person-centred approach, the dance practitioners leading the sessions are able to support the individual needs of Surrey’s older people. There are 850,000 people living with dementia in the UK. This is predicted to rise to 1,000,000 by 2025 and 2,000,000 by 2050. This builds on the work of Clift et al. (2008) who critically evaluated literature and research into the benefits of singing for adults and older people with regards to health and wellbeing, finding very positive results across the range. Table 2 shows a list of current services, providers, projects and programmes in Surrey aimed at the groups and needs identified earlier. In order to provide useful information for readers, links and/or contact details have been provided where possible. These are provided in addition to universal programmes and projects offered across the county. Table 3 shows additional organisations offering a complete service to residents in need of health and wellbeing support through arts and cultural activities and support. There is a wide array of activities, programmes and support available in Surrey to support residents with health and wellbeing considerations through arts and culture. A great deal of this provision has been constructed based on the evidence base within international research demonstrating the place of arts and culture in addressing health and wellbeing needs. Some evidence was also found of local needs analysis within individual arts and culture services and/or organisations, e.g. Surrey Music Hub (lead organisation Surrey Arts, Surrey County Council). However, there does not appear to be a cohesive approach to needs analysis from the arts and cultural sector across the county and this would be valuable in ascertaining unmet needs and service gaps. 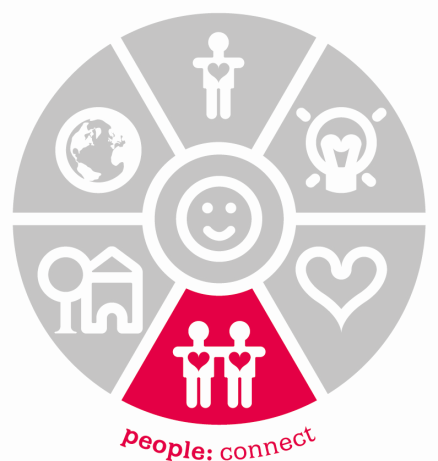 Whilst there is a vast body of provision across all age groups (including both universal and targeted offers) social deprivation is an issue that will face members of Surrey’s communities and is a suggested focus area for collaborative work (including an array of new and existing partners) with the arts and culture sector and health and wellbeing sectors. Basic information to enable residents and commissioners to access arts and cultural activities for health and wellbeing was provided in Table 2. However, this section seeks to demonstrate detailed information about specific projects and their impacts in Surrey, through the Wheel of Wellbeing (© 2016 – South London and Maudsley NHS Foundation Trust, created using the National Lottery Funding’). This project has enabled 11 young people (who would not otherwise have been able to) to access learning a musical instrument. 2. Creative Seated Dance: Surrey Arts. Working with older people and taking a person centred, creative approach to dance, programmes of Creative Seated Dance are being led by trained dance artists in day centres and care homes across Surrey and are very successful in engaging people in storytelling and in mental and physical activity. 3. The Diverse Cultures of Surrey: Surrey Heritage, Surrey County Council. 4. Volunteering opportunities with Surrey Heritage, Surrey County Council. 5. Surrey Heritage connecting communities: Over 50 members of the Medhurst family from across the globe were connected and have now had gatherings at the Surrey History Centre through the “Surrey in the Great War” project. 5. Surrey Heritage mapping the locations of LGBT history sites as part of the Historic England Pride of Place project. Clift, S., Hancox, G., Staricoff, R. & Whitmore, C. for Sidney de Haan Centre, Canterbury Christchurch University. Singing and Health: A Systematic Mapping and Review of Non-Clinical Research, 2008. Clift, S., Skingley, A., Coulton, S. & Rodriguez, J. for Sidney de Haan Centre, Canterbury Christchurch University. A controlled evaluation of the health benefits of a participative community singing programme for older people (Silver Song Clubs), 2012. Freeman, D. for Arts Partnership Surrey. Arts in Health Research: ‘NEW BODY LANGUAGES’: the emergence of participatory arts in health. 2006. ILC-UK & UCL. The links between social networks and wellbeing in later life. 2015. Public Health England. 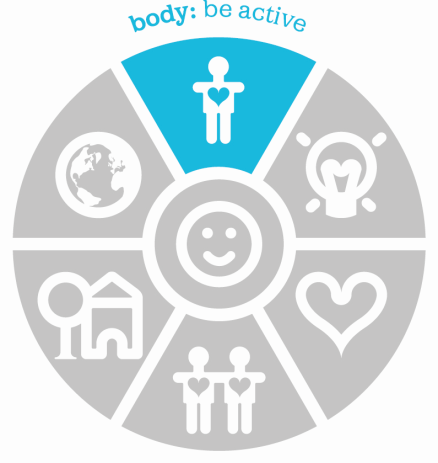 Improving young people’s health and wellbeing: A framework for public health. 2015. Vella-Burrows, T., Ewbank, N., Mills, S., Shipton, M., Clift, S. & Gray,. Cultural Value and Social Capital Investigating social capital, health and wellbeing impacts in three coastal towns undergoing culture-led regeneration, 2014.